MGT DEBUT VIDEO FOR NEW SONG “EVERY LITTLE DREAM"
Goth-rock duo MGT has partnered with TeamRock.com to unveil a video for their brand new song, "Every Little Dream." 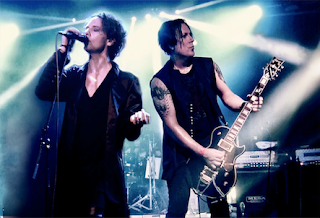 The song is featured on the band’s forthcoming album, "Gemini Nyte", that’s due out on February 23rd 2018 from Cleopatra Records. The album is now available for pre-order at iTunes found HERE. Check out the video for "Every Little Dream", now at TeamRock.com: http://bit.ly/2DKrQK9.